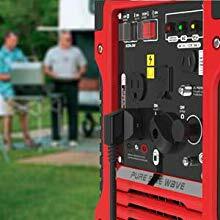 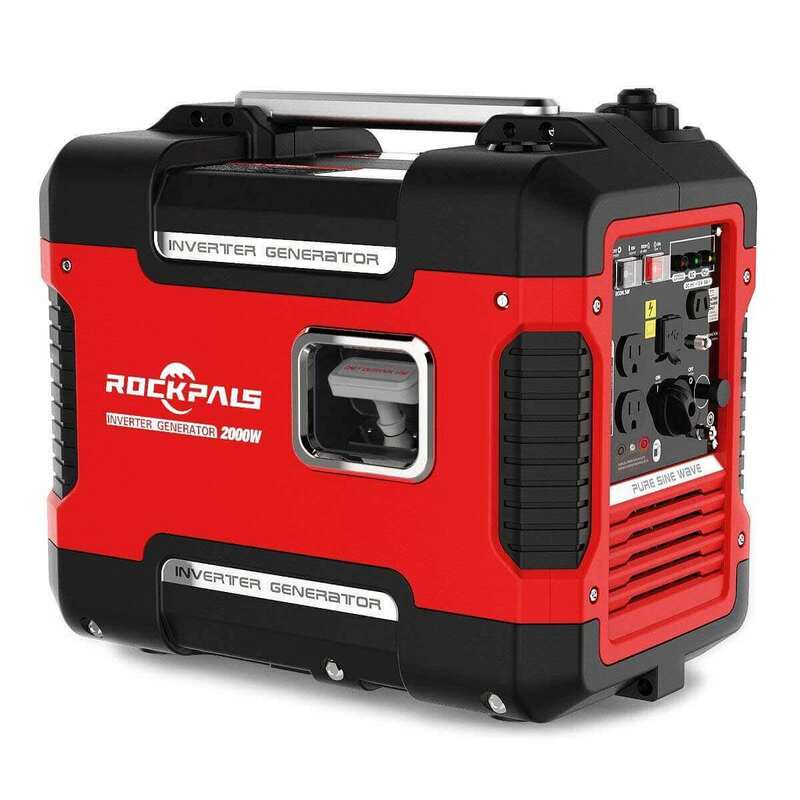 with the Rockpals 2000Watt portable power station, you have the power to back up your life in any situation. 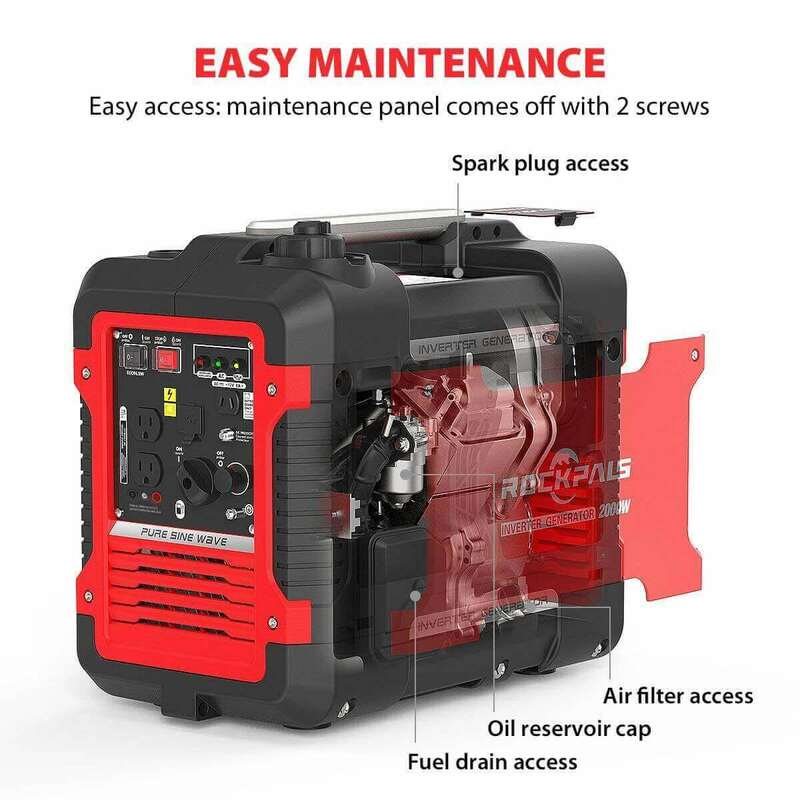 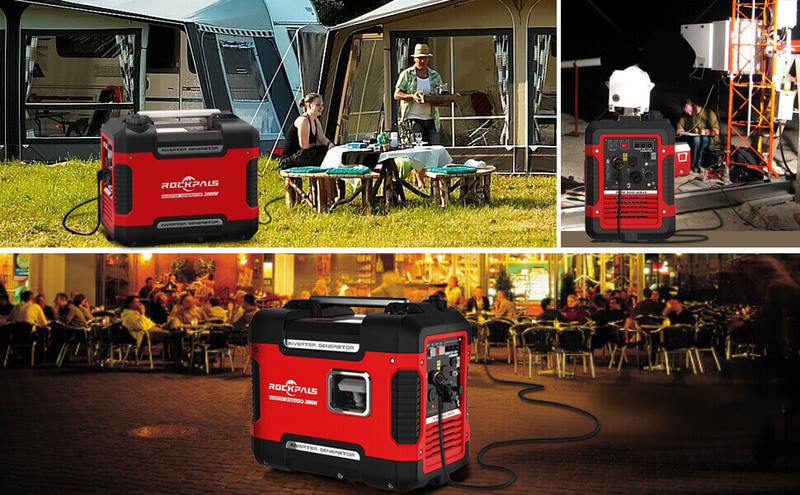 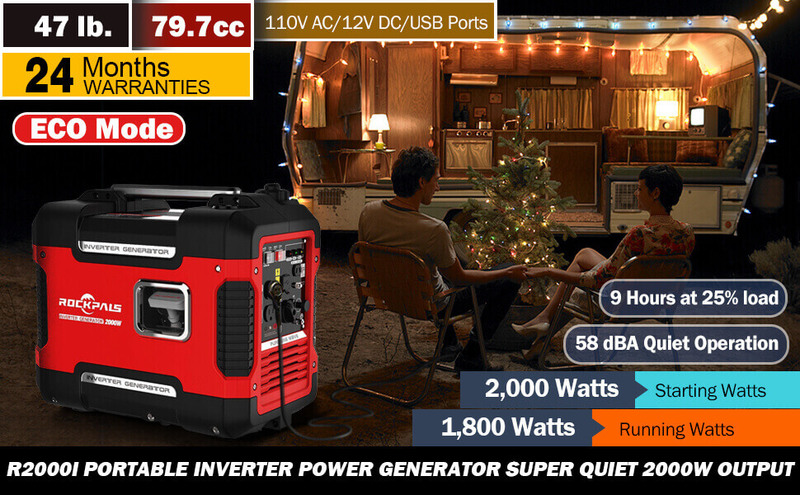 With the Rockpals 2000Watt 9 hours time portable camping gas power generator, you have the power to back up your life in any situation. 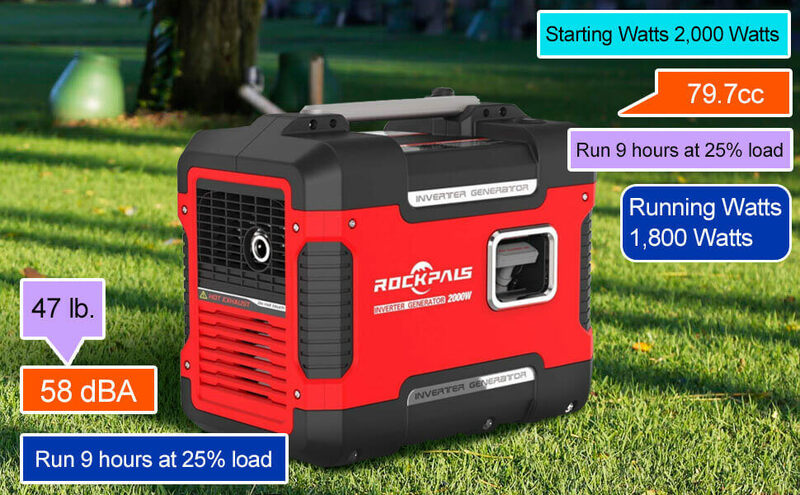 Max your wattage by combining two R2000i using the Rockpals Inverter Parallel Cord (sold separately) for 3600 combined rated watts of power! 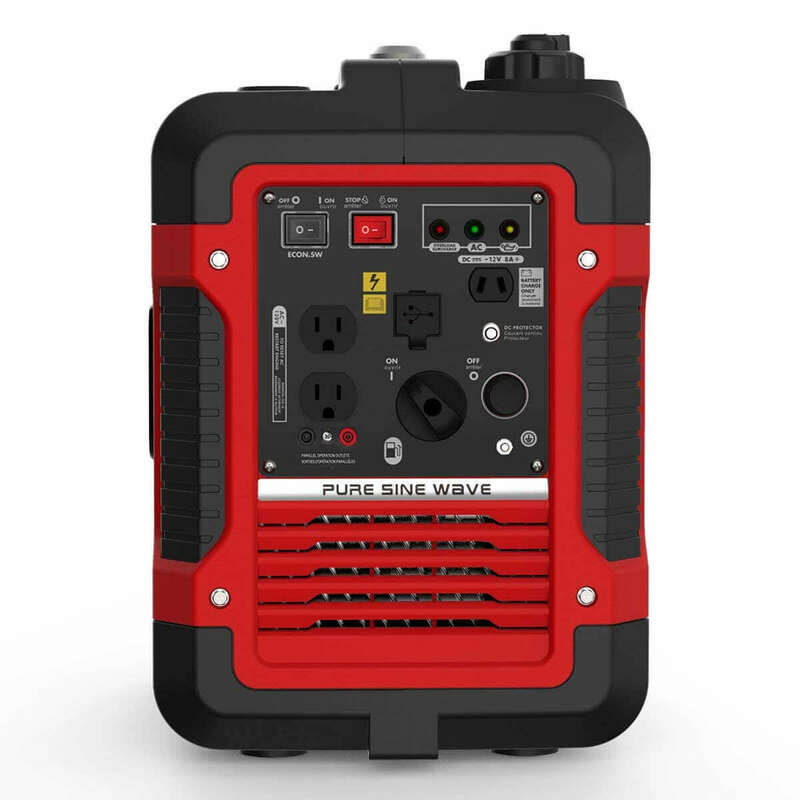 Just plug-and-play. 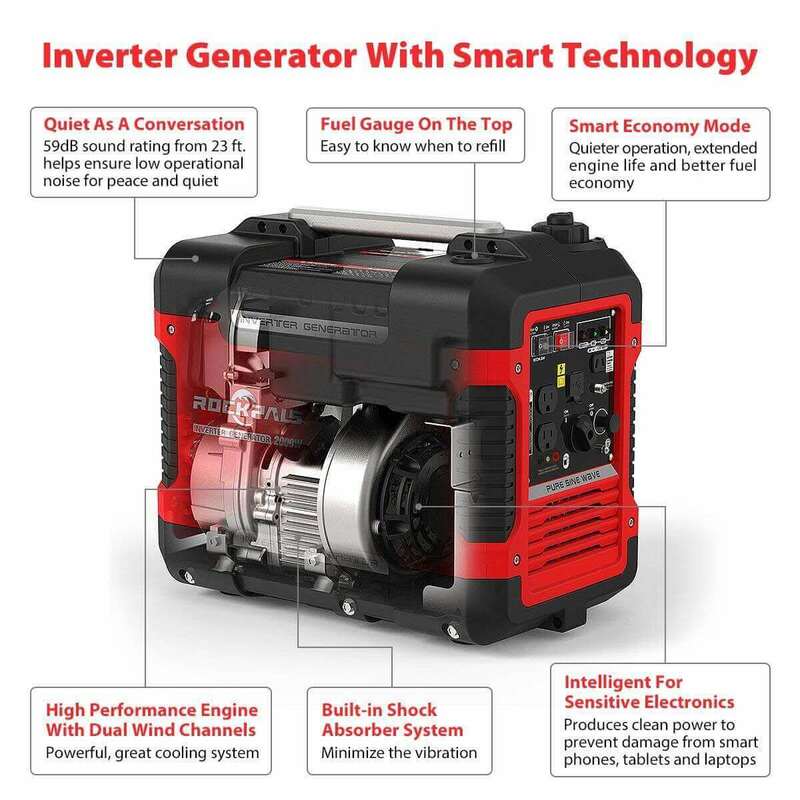 Powered by a 4-stroke OHV engine, R2000i inverter technology also includes smart Economy Mode, which can reduce the electrical load, providing quieter operation, extended engine life and better fuel economy. 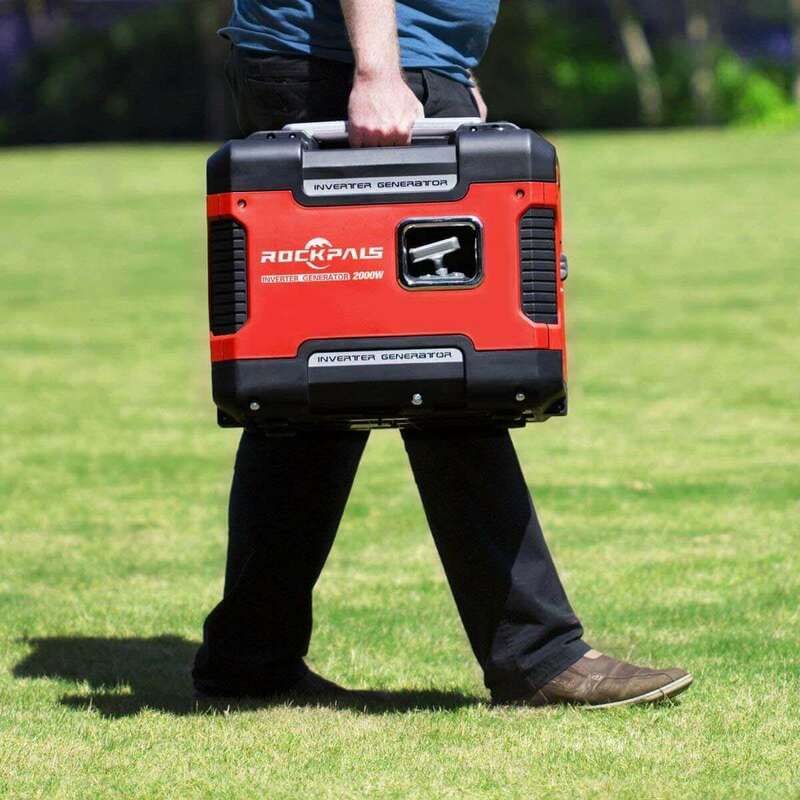 The R2000i is compact and lightweight, with a size of 18.9*11.2*15.3 inch, weighing only 47 lbs. 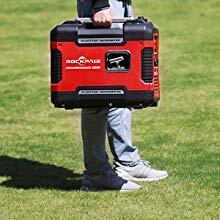 and features a built-in carry handle for easy transportation. 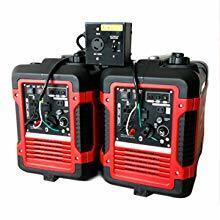 The R2000i equipped rugged case and premium safety features including low oil shutdown and overload protection. 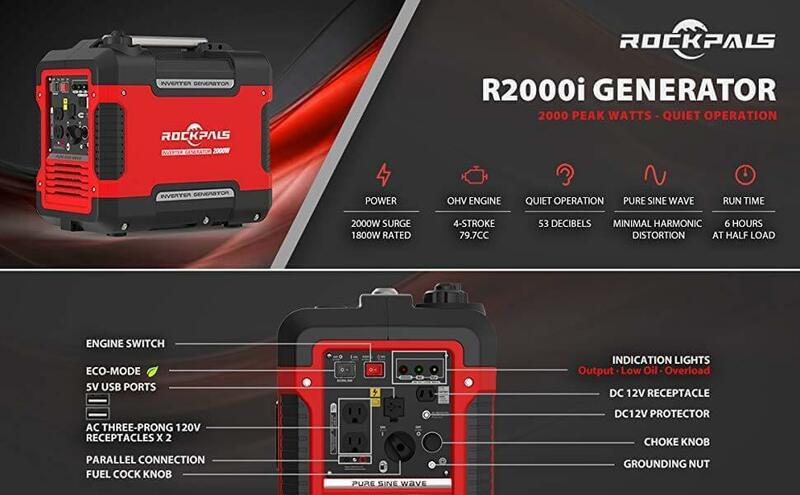 Additionally, the R2000i digital inverter generator is backed by a 18-month limited warranties and lifetime technical support.